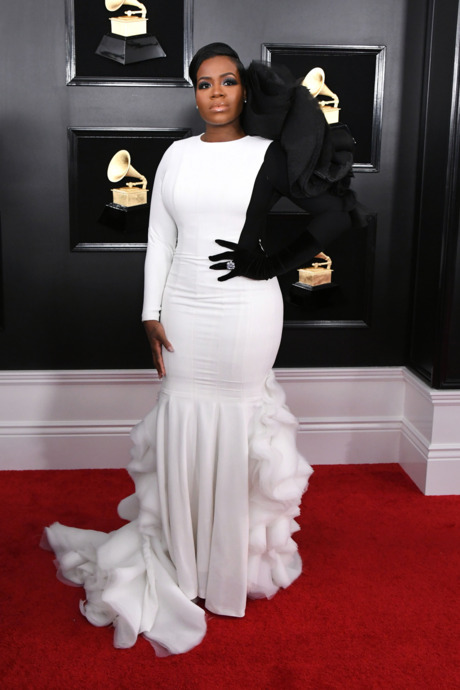 The 61st Grammy Awards which took place at the Staples Center in downtown L.A. on Sunday, February 10 was set to honour the best in music. 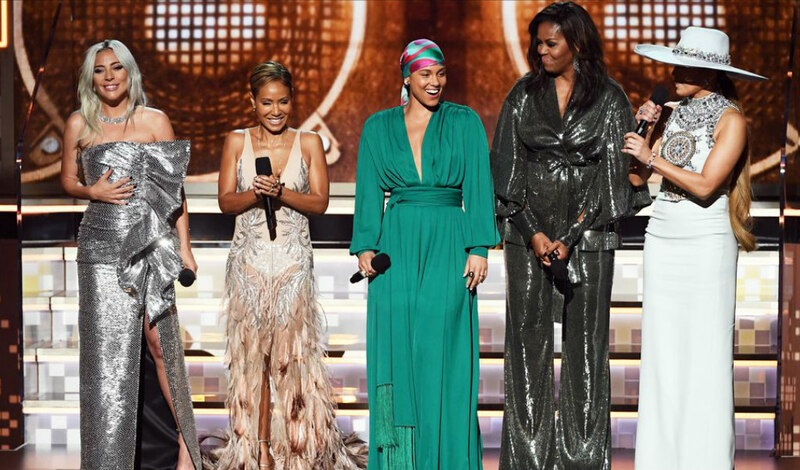 The show, which was hosted by Alicia Keys, played host to some wild fashion moments from the biggest names in the music industry. First time Grammy nominee, Cardi B made history by becoming the first woman to win best rap album as a solo artist for Invasion of Privacy. Talk about Girls Rising! 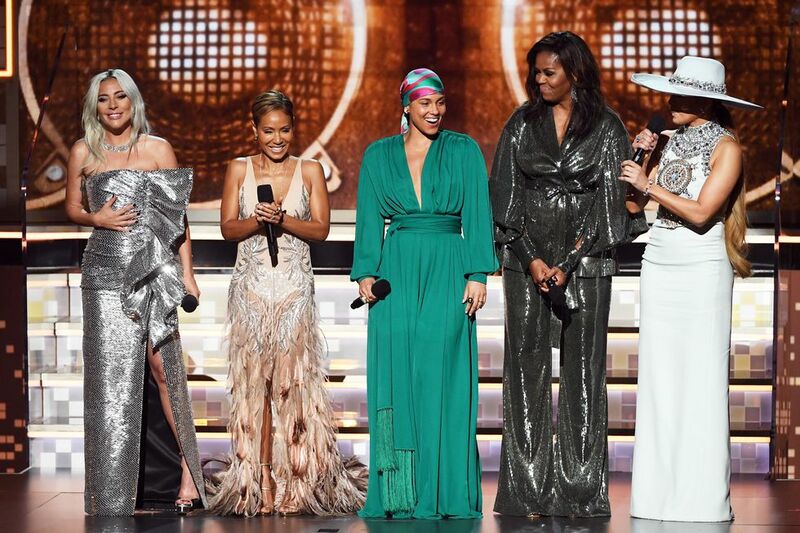 In line with this, a few minutes after the show began, Alicia Keys, the host, introduced “my sisters:” Lady Gaga, Jada Pinkett Smith, Michelle Obama and Jennifer Lopez. Each spoke about the inspiring power of music throughout their lives. 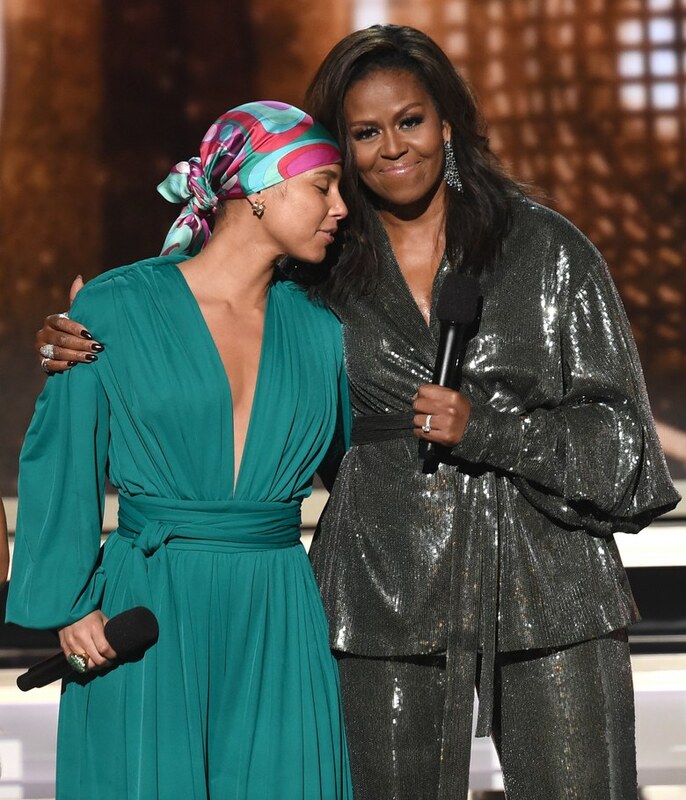 Of course, Michelle Obama stole the moment and probably the whole show as her appearance was unexpected. 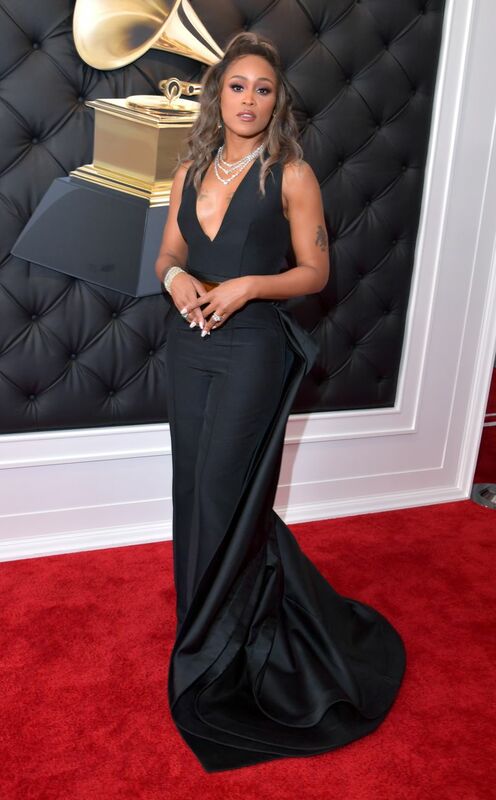 Before the show began, the stars took to the red carpet to show off their glam looks. 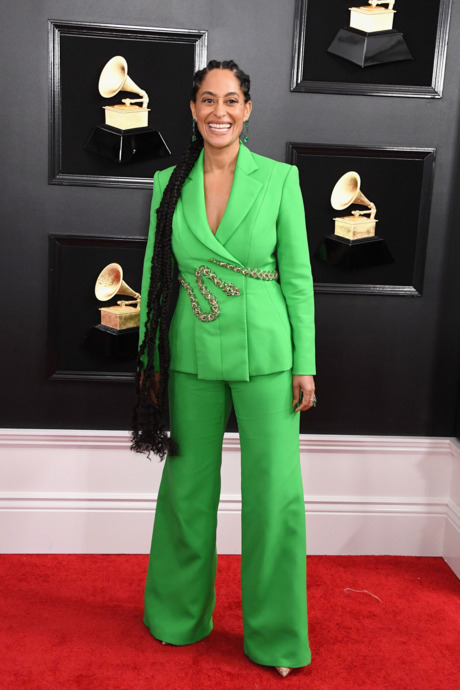 As we all know, the Grammys fashion is always the most memorable of the Awards season and this year’s red carpet was no exception. 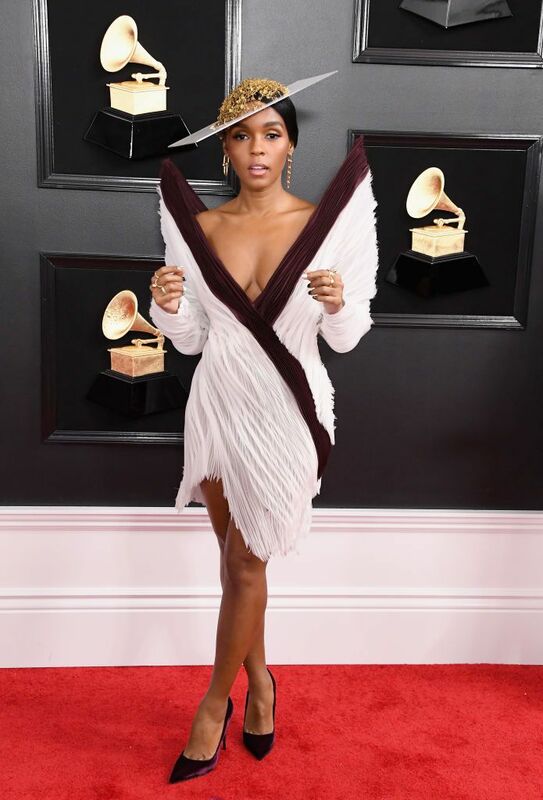 From Cardi B to Janelle Monáe, the red carpet was literally on fire. Representing Nigeria and Africa was Seun Kuti, whose album, Black Times was nominated for ‘Best World Music Album’. Trust Seun to show up for the culture in a traditional Agbada and matching fila (hat). His Agbada paid tribute to his father, the great Fela, with a gold saxophone – an instrument/talent his father passed down to him – embroidered on it. 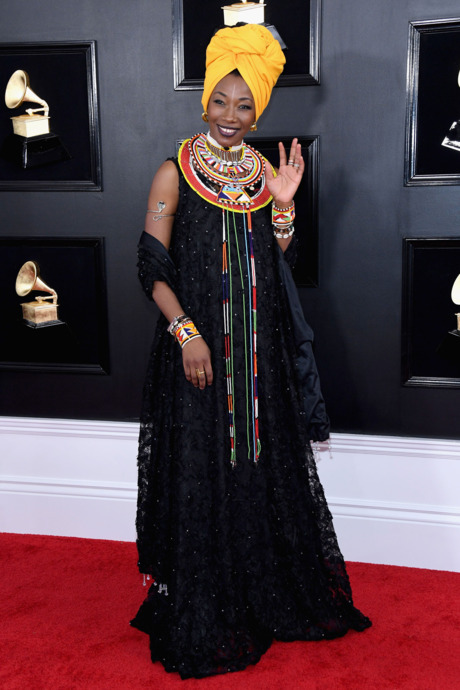 His partner Yetunde Ademuluyi also repped the culture in a bejewelled corseted top and skirt set and beaded cornrows. You couldn’t miss them on the red carpet if you tried. While some critics have argued that Cardi B’s look belongs on the worst dressed list, we found the pink duchess and satin velvet venus sheath dress/blush embellished bodysuit from Mugler’s Fall/Winter 1995-1996 couture show entertainingly rave-worthy.